Picking a resort to fit your large family can be difficult at times, but Disney has done a great job of catering to all family sizes. There are family suites, villas, cabins, and bungalows available! They sleep around six to nine people per suite, so be mindful of the room capacity when booking your family’s magical vacation. Each hotel is unique in its own way. There are tons of different perks to each resort including fantastic amenities and recreational activities like dog-friendly accommodations, fitness centers and spas, and even grocery delivery services. These come in a variety of prices but tend to be more expensive since they provide extra special in-room services like kitchenettes and larger rooms. To help with your search, I have compiled a list of my top 7 best Disney hotels for large families you’ll love. 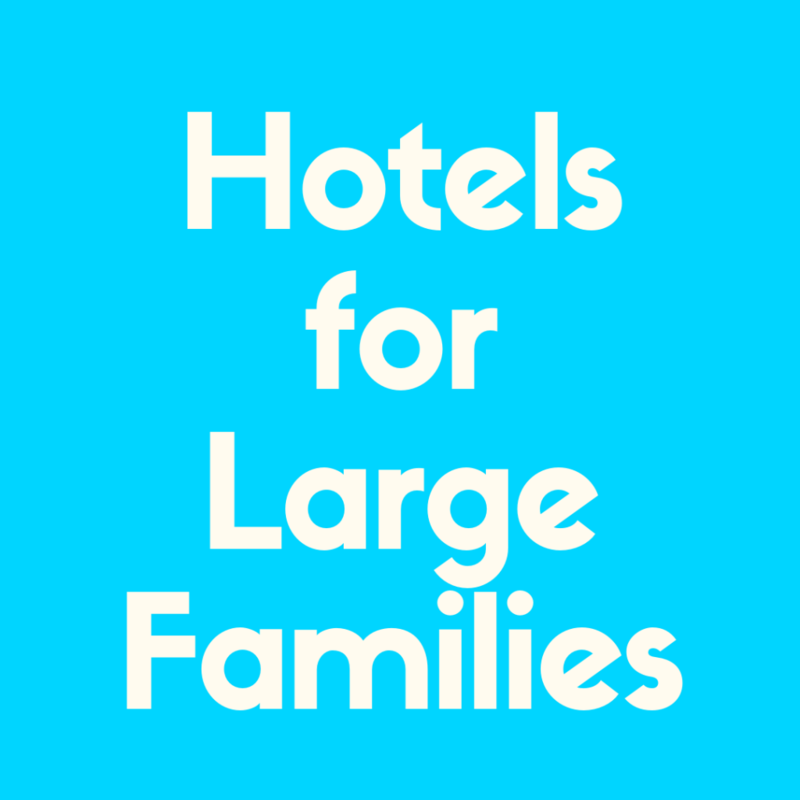 There are a variety of amenities, price ranges, room sizes, and recreation opportunities in the following list, so read carefully and hopefully you can narrow down the best resort for your big happy family! Disney’s Grand Floridian Resort and Spa is arguably the best resort at Disney. While it is expensive, it is so worth the money because it is absolutely stunning. The villas are perfect for larger parties and families because they sleep 5 to 9 people! This is perfect for two families traveling together because splitting the cost cheapens the price. This hotel has a ton of special amenities, dining, and recreational activities. Enjoy large pools with massive waterslides in the warm Florida sun. There is also a full service spa offering massages, facials, hair services, as well as nail services. Not many Disney hotels also have a fitness center, but this one does which is perfect for anyone trying to work off their extra Mickey Premium Bars weight! This hotel also offers boat rentals, movie nights, fishing, basketball courts, and jogging trails. Enjoy a night of arcade games or campfire fun too! If you’re looking to dine while at your resort, there are a few fantastic options to choose from. California Grill is an exquisite dining experience offering luxurious twists on American favorites. Look over Magic Kingdom, Cinderella’s Castle, and nighttime fireworks shows while dining at this beautiful location. You will also find Citricos, Narcoossee’s, Victoria & Alberts, and the Grand Floridian Café. 1900 Park Fare also offers a much more casual dining experience for guests to enjoy. Disney’s Grand Floridian Resort is probably the priciest of all of these, so keep that in mind if budget is a main priority for you and your family. Keep reading if you’d like to explore some more affordable options. Check out our full review of the Grand Floridian resort here! The Polynesian Village Resort is also a great resort for large families. It is another one of Disney’s deluxe resorts, so it has a higher price tag but it’s a great place to stay! The villas and bungalows can sleep 5 to 8 adults and come with a kitchenette. There are multiple views to choose from including a wonderful view of the lake right outside the hotel. The most popular dining destination here is ‘Ohana. 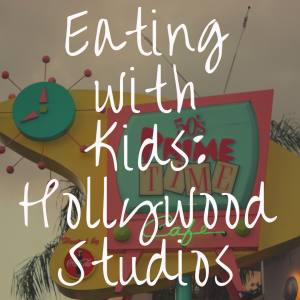 You can enjoy an incredible character dining experience here with delicious Polynesian style food. 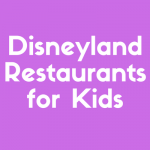 Meet Lilo, Stitch, Mickey, and Pluto during an all you can eat breakfast or brunch! The dinner is even more Polynesian inspired and also a wonderful dining experience. Oasis Bar and Grill, Trader Sam’s Tiki Terrace, and On the Green Grill are also fantastic dining options with unique fare to try. If you’re a Dole Whip junkie, stop by Pineapple Lanai to get your fix! There are also plenty of recreation activities and amenities such as pools, nightly water pageants, nighttime movie showings, boat rentals, volleyball courts, and jogging trails! One of the most unique perks of this resort is the grocery delivery service. This is especially beneficial if you’re planning on making your own food while staying in your villa! Disney’s Polynesian Villas and Bungalows are definitely pricey depending on the time of year. However, they are absolutely stunning and a much better price for a Disney deluxe resort than Disney’s Grand Floridian Resort and Spa. Check out our review of the Polynesian Village Resort here. There are two options for large families at Animal Kingdom Lodge’s Villas. There is the Kidani Village and Jambo House. Kidani Village fits 4 to 9 adults in total. Be mindful when booking, Jambo house only sleeps up to 5 adults at a time. They offer both savanna view and standard view options. There are some fantastic and unique dining options at Animal Kingdom Lodge including Jiko – The Cooking Place, Sanaa, Boma – Flavors of Africa, and The Mara. Enjoy poolside bars and small plates at this resort as well. Cape Town Lounge and Wine Bar is perfect for the wine enthusiast interested in trying some new, unique wine. There are also fantastic recreation activities and amenities. My personal favorite is the opportunity to go on a safari adventure! Make sure to call your resort in advance of your vacation to book a spot on this excursion. There are also plenty of pools, a fitness center, campfires to enjoy, and a community hall featuring pool, video games, ping pong, and more! There are also basketball courts, tennis courts, and nighttime movies to enjoy. Animal Kingdom Lodge is moderately priced. Depending on your budget, this might be a great solution for your family. This unique hotel is incredibly special since you can sleep right next to the safari. Watch in awe of the zebras, rhinos, and giraffes that pass your window every few minutes. The price of this hotel is probably the most worth it in my opinion. The experience is so unique and different which makes it such a special stay with the whole family. 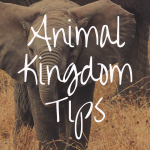 If you have little ones, this can be extra special because seeing these large safari animals so close and personal is mesmerizing and memorable! 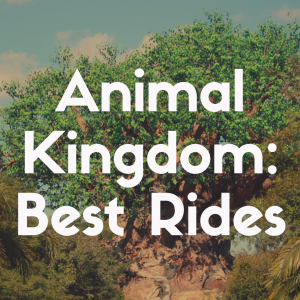 Check out our Animal Kingdom Lodge review here! Disney’s BoardWalk Villas are a fun, classic Disney resort. Their rooms sleep up to 9 adults at a time, which is perfect for big families or larger parties. This waterfront hotel is special and ideal for entertaining the whole family. There are plenty of yummy places to dine including Flying Fish, a restaurant focused on harvest fresh seafood sustainably. Big River Grille and Brewing Works, ESPN Club, and Trattoria al Forno are all also fantastic dining options. The BoardWalk Bakery and Funnel Cake Cart are the best way to satisfy your sweet tooth. Recreation activities and Amenities here include pools, campfires and smores, mini golf, and a game-filled community hall! There are also surrey bike rentals, tennis courts, and tons more. There is also a fantastic themed playground if you have little ones in your party! Disney’s BoarWalk is also a little pricey, but not nearly as expensive as Disney’s Grand Floridian Resort and Spa or Disney’s Polynesian Village. This hotel has its own special feel which is great for older families in my opinion. Younger ones don’t feel the magic of this place quite as much as older family members, so maybe keep looking if you have quite a few youngin’s in your crowd! Check out our review of the BoardWalk Inn here! This New-England style hotel is quaint and romantic. The beachy feel is relaxing and fun for every family size. The villas hold up to 8 adults at a time which is great for large families and travel parties. There are many views available including the standard view, water, pool, and courtyard! The Yachtsman Steakhouse is the premiere place to eat at BoardWalk. Tender steak, seared seafood, and specialty drinks is the main focus of this joint. 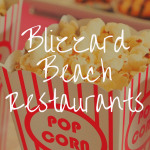 There are also some more casual dining options like Cape May Café, Beaches and Cream Soda Shop, and the Beach Club Marketplace among many others. Recreation opportunities here include pools, mini golf, and an extra special pirate adventure cruise! You can also enjoy late night movies under the stars, campfires complete with smores as well as games and sports! Check out our Beach Club resort review here! This is probably one of the most special options for large families available at Disney. These private, secluded cabins are so much fun and have so many special perks. Each cabin sleeps up to six people. There are dog-friendly accommodations at this resort as well as golf cart rentals, and plenty of pools! You can also preorder groceries to be delivered before you arrive. There is a full kitchen with a refrigerator, toaster, coffee maker and more. Your family will have everything they need to rough it in style! If you choose to dine out, there are plenty of options for this as well. Trail’s End Restaurant, The Chuck Wagon, and P & J’s Southern Takeout are all delicious options with classic American dishes. There is also a specialty dining experience available called the Hoop-Dee-Doo Musical Revue. Enjoy an all you can eat feast while watching song and dance! There are some great, unique recreation activities here as well. There is an entire archery experience, plenty of pools, and pony rides! You can also sit in a horse drawn carriage as the sun sets, riding around the campgrounds! There’s a campfire sing-along, canoe and kayak rentals, as well as tennis, basketball, and volleyball courts. Enjoy arcades and playgrounds as a family as well! There is also a nightly electrical water pageant, laundry services, and more at this unique resort. The Cabins at Disney’s Fort Wilderness Resort is one of the best resorts for getting more bang for your buck. This complete cabin has everything you need for a wonderful, self-service vacation. The special amenities also add a lot of unique qualities to this resort which make it worth the money. It is moderately priced with plenty of room for every member of the family. You can also save money by getting groceries delivered and making a lot of your own food instead of dining out! Check out our Fort Wilderness review here! If you are on a budget, the Art of Animation Family Suites are the perfect solution for your family because it also one of the best Disney World hotels for kids. Each suite has a different movie theme such as The Little Mermaid, Finding Nemo, The Lion King, and Cars. Each family suite sleeps up to 6 adults which is great for a larger family. There are also dog-friendly accommodations available at the suites. The Landscape of Flavors is a full service food hall available for Breakfast, Lunch, and Dinner. They have a massive variety of foods to choose from so even the pickiest family members will be satisfied. The Drop Off Pool Bar is great for midday snacks and drinks by the pool! The Disney Pizza Delivery Service is also great for watching family movies and munching on delicious pizza. There are also a variety of recreation options such as pools, movies under the stars, a jogging trail and playground. There is also a wonderful arcade with tons of games to choose from. This is a great resort for families with young ones for sure! This is definitely the best resort for a family on a budget, but you won’t lose out on the magic. This Disney themed resort still has everything you need for a truly magical stay at the happiest place on Earth! Check out our Art of Animation resort review here! 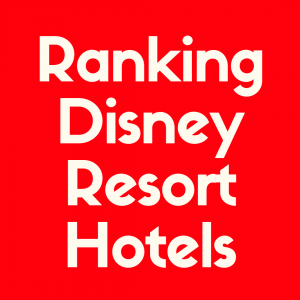 As you can see, there are a ton of different options for Disney resorts for even the largest families! Disney does a fantastic job of accommodating large parties and providing special amenities to those with bigger parties. When choosing your resort, keep budget and number of people in mind first. After narrowing it down, then make your final decision based off the theme and amenities the remaining resorts have to offer. If a fitness center is important to your family, the Polynesian or Grand Floridian should be your top choice! If you want to really enjoy the magic of Disney, Art of Animation brings Disney classics to life for the entire family to enjoy. No matter your choice, your Disney vacation will be joyful and magical for the entire family so remember to have fun, laugh a lot, and dive right into all of the Disney magic during your stay!